Thank you so much for saving our trip of a lifetime to the Turks and Caicos with my sister and her family and my parents who are 75 and 81. 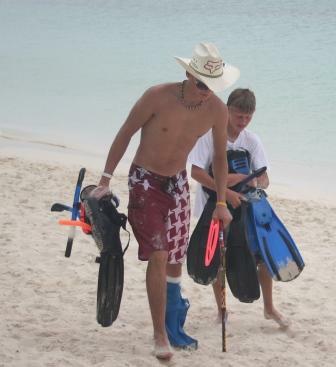 Max was able to get a hard cast 7 days after ankle surgery, and thanks to your product he swam and snorkeled with us. He even went parasailing! The Dry Pro allowed him to participate in this amazing trip. Thank you so very much.